There are some fantastic Cascais Golf Holidays Lisbon Golf Breaks available with picturesque golf courses and quality hotels around Lisbon’s coastal region in Portugal. Whether you stay in the Capital or in nearby towns such as Cascais or Estoril there are plenty of restaurants and bars to visit and this is an area that offers an alternative to the tried and tested Algarve. Smaller towns such as Sesimbra are also popular or you could stay on site at luxury Golf Resorts such as Praia D’El Rey, Quinta da Marinaha or Penha Longa. 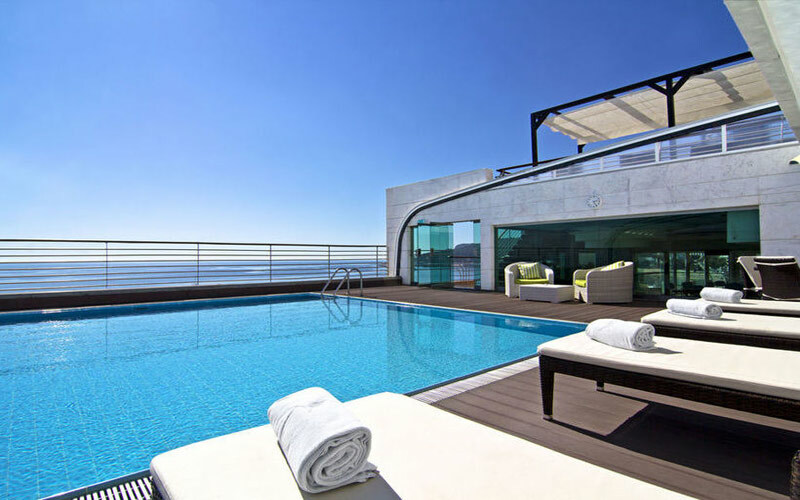 The 4* Vila Gale Cascais Hotel overlooks the sea and is only a few metres away from the renowned Marina de Cascais.The hotel offers a breathtaking view of the Atlantic Ocean and offers quality cuisine and outdoor swimming pools. There are fantastic golf courses located close by. The 5* Evolutee Hotel at Royal Obidos Spa & Golf Resort on Portugal’s Silver Coast is just a few minutes from the beach and close to the medieval town of Obidos. In a truly idyllic location, the Evolutee Hotel offers amazing views of the golf course, Atlantic Ocean and the Lagoa de Óbidos, Portugal’s largest lagoon.The 18 hole championship golf course designed by Seve Ballesteros offers magnificent golf and ocean views, a clubhouse with pro-shop, restaurant, bar, members’ lounge and a large terrace with incredible views over the golf course and the ocean beyond.There are some fantastic Golf & Gastronomy packages available playing Royal Obidos, Praia D’El Rey and Bom Sucesso, together with dining at some fantastic restaurants. Please click on our offers below for further information. Located in a delightful little fishing village, the 4* Sana Sesimbra is a great 4 star hotel that is located on the beach and surrounded by the Arrabida Natural Park. There are some fabulous golf courses close by such as Quinta do Peru.The hotel features a roof top hot tub, a cocktail bar and indoor & outdoor swimming pools. The 5* Dolce CampoReal Lisboa Resort is a charming deluxe property on the beautiful Silver Coast, surrounded by ancient vineyards. It features outdoor and indoor swimming pools and an extensive spa. Free WiFi is available.The elegant resort offers either courtyard or golf views. Three restaurants provide a variety of gastronomic choices and there are 2 bars including one beside the outdoor pool. Campo Real Golf Course is on site and there are excellent packages available playing this and other local courses. 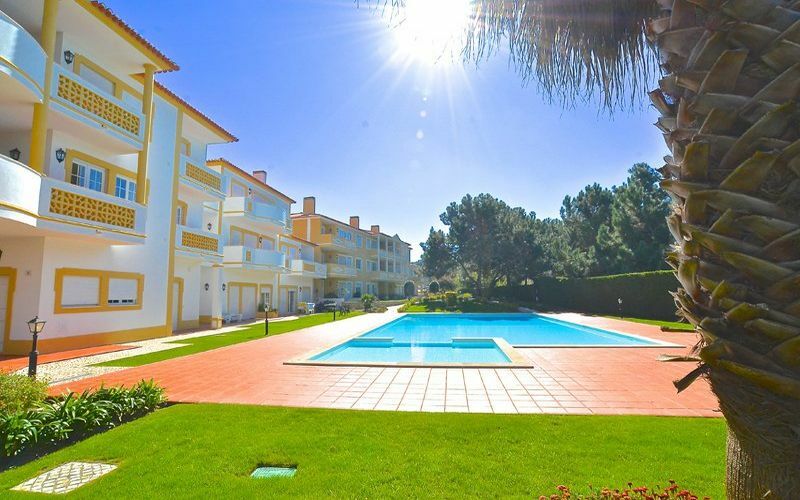 The 4* Village apartments at Praia D’El Rey Golf & Beach Resort are located very close to the coastline and beaches of Obidos. With Praia D’el Rey golf course on-site and a complimentary shuttle available to west cliffs. The golf courses offer a fantastic mix of links and parkland golf. The apartment complex are set within gardens and cobble stoned paths in typical Portuguese style. The apartments have access to the local condominium pool for relaxing in after your round of golf. The 5* Praia D’El Rey Marriott Golf & Beach Resort is located right on the beach with the golf course on-site, which offers a mix of fantastic links and parkland golf. 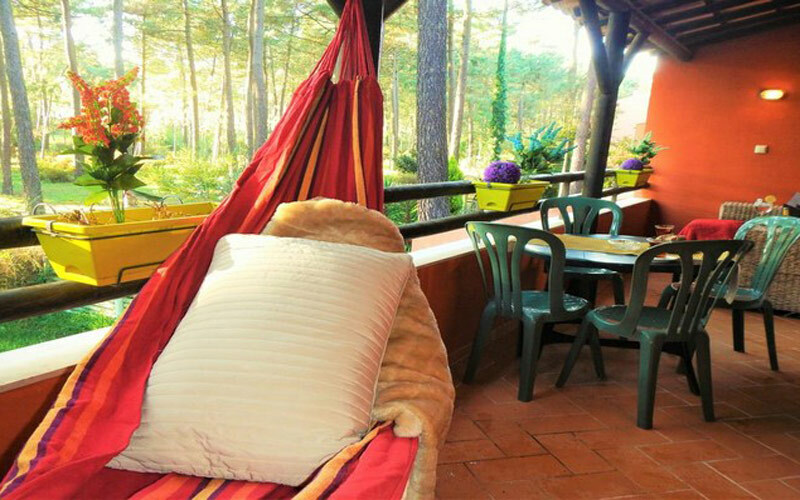 There are 7 different restaurants to choose from and also a well equipped gym and an indoor and outdoor pool. The rooms include a bath with selected bathroom amenities, TVs with cable reception and air-conditioning. They are classically furnished with a spacious living area. From their private balconies they either offer views of the ocean or of the golf course. Ideal for Cascais Golf Holidays Lisbon Golf Breaks. 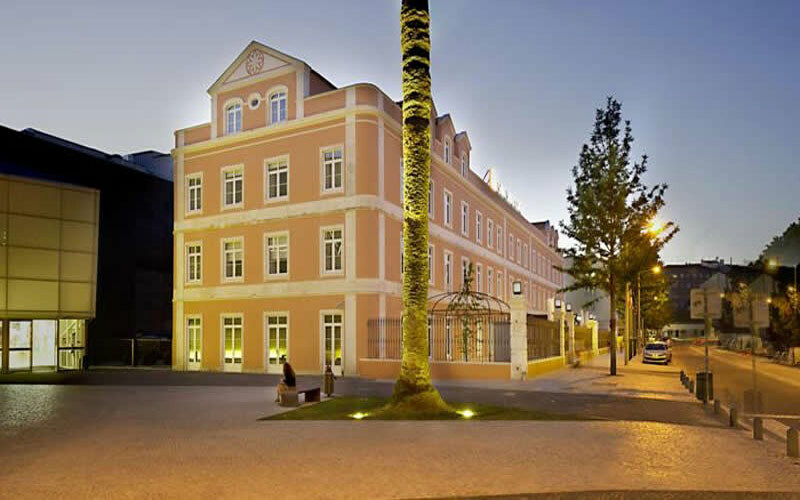 The 4* SANA Silver Coast hotel is located in the centre of Caldas da Rainha, a short distance from Óbidos and only 45 minutes away from Lisbon. The hotel offers 80 rooms and 7 suites, restaurant, bar and a café with an outdoor terrace.Staying at this hotels entitles you to some fantastic packages playing Royal Obidos, Bom Sucesso and Praia D’El Rey golf courses, please enquire for our offers. Set in pinewoods with views of the golf courses, the Aroeira Golf resort offers self catering apartments and villas and is also only 600m from the beach.The estate has 2 18 hole championship golf courses (Aroeira I & II), a club house, tennis courts and a tropical swimming pool.There are some fantastic offers with unlimited golf at 6 different courses, please click below for further details. 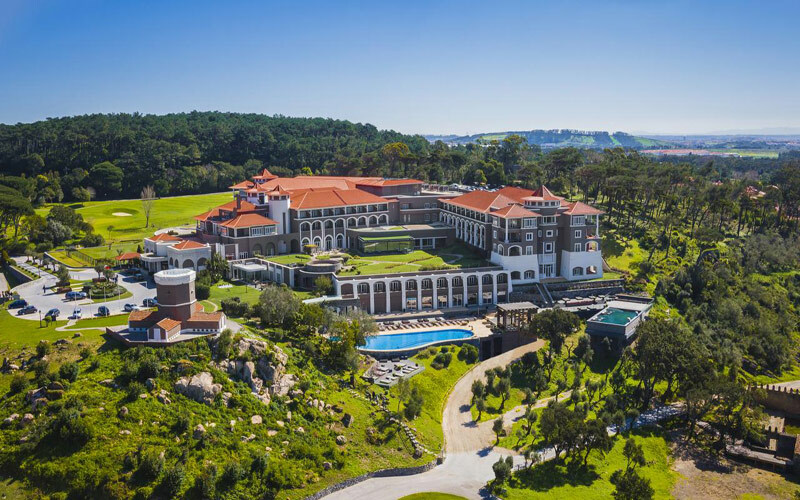 The 5* Penha Longa Hotel and Golf Resort traces its origins back to the 14th century and includes a landmark monastery that was built on its ground that has been a frequent retreat of Portuguese royal and foreign dignitaries. 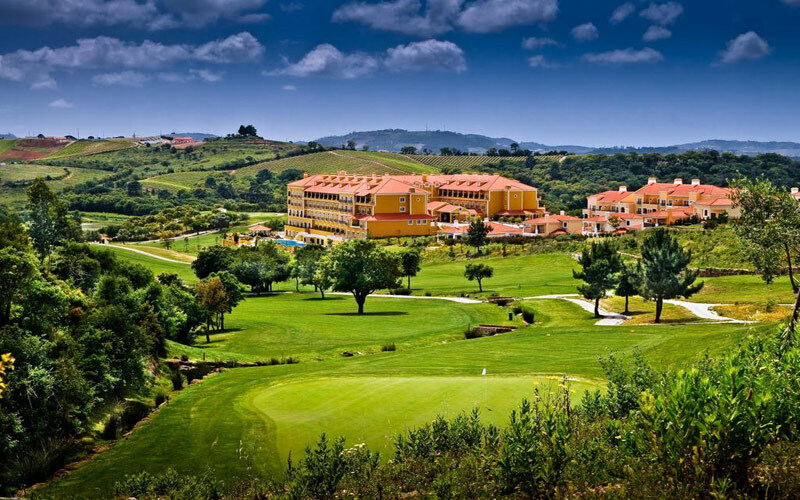 The Resort is set amongst spectacular hills, lush gardens and clear lakes of the southern Sintra Mountains.The Resort offers the 18 hole Atlantico course, the 9 hole Monastery course, fabulous Spa facilities and 5 superb restaurants serving different cuisines. 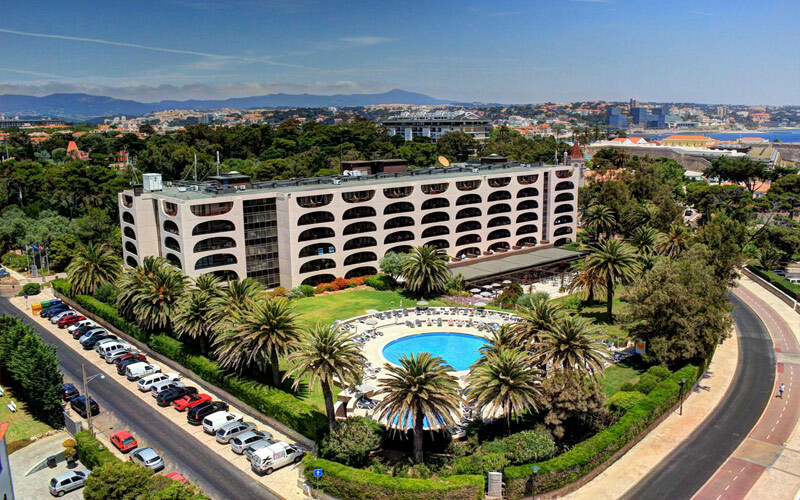 The 5* Quinta Da Marinha Resort is situated amongst the green surroundings of the Sintra Cascais Natural Park and lies between the beautiful scenery of the mountains and the picturesque beaches of the coast. 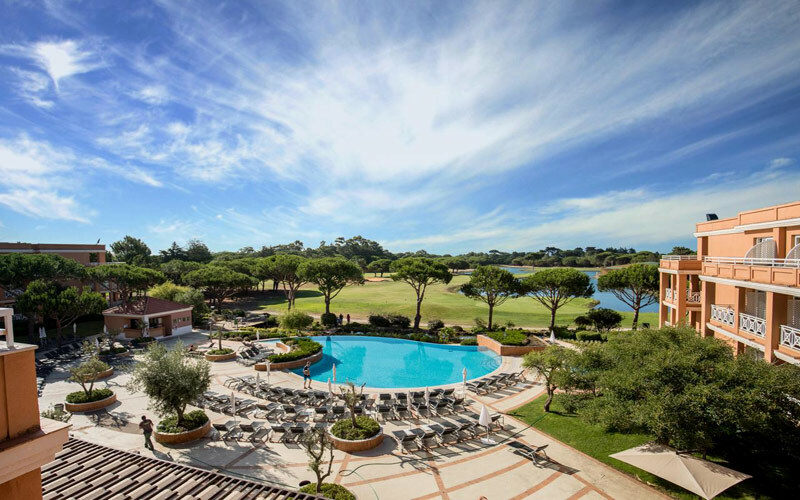 The resort offers luxury rooms, suites and villas and the fabulous Quinta da Marinha golf course is on-site. The Resort has a spa and fitness centre and has a number of quality restaurants to choose from. Ideal for Cascais Golf Holidays Lisbon Golf Breaks. 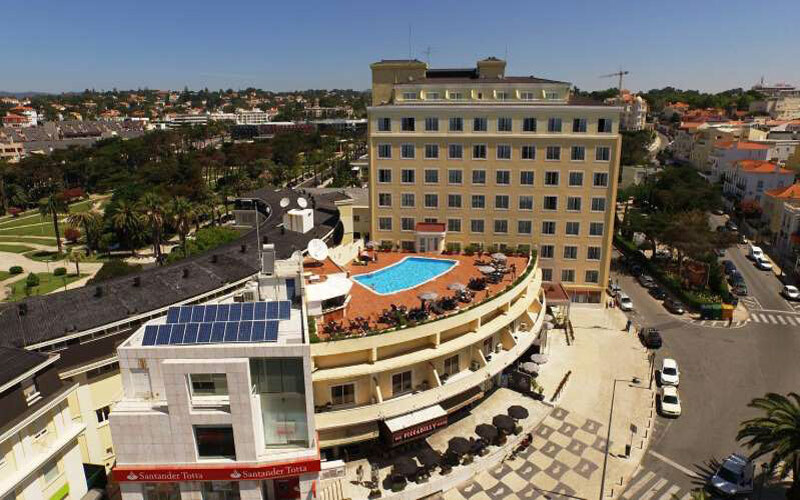 The 4* Vila Gale Estoril Hotel is located right along Linha do Estoril, two minutes away from the sea. 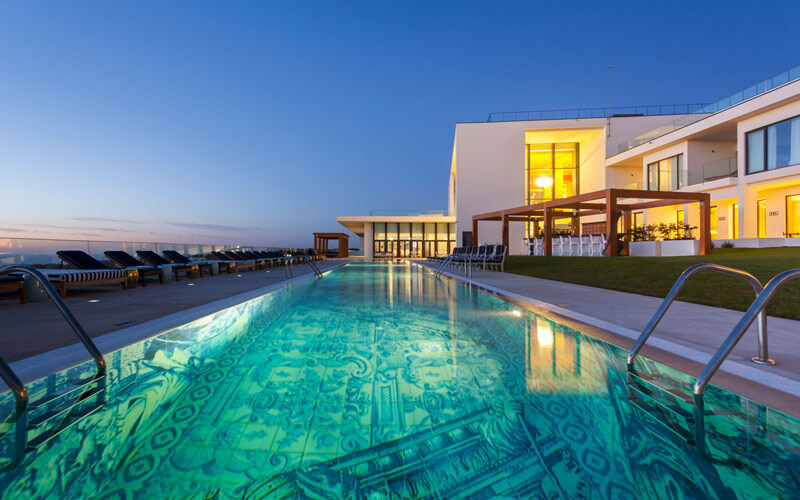 Having a privileged location overlooking the charming Praia do Tamariz and only 5 km from Cascais, the hotel is one of the quaintest historical resorts in Europe.The Vila Gale Estoril has 126 rooms, an outdoor swimming pool and a bar with live music. Ideal for Cascais Golf Holidays Lisbon Golf Breaks.